Hostdog is an internet service providing website that operates under the internet service and application providing company of Nikolaos I. Stefanis with VAT number 113852827 and which is located at 9 M. Alexandrou ave, Thessaloniki, Greece. massive and unrequested mails without the consent or demand of the receivers (spam mails). Hostdog retains the right to decide which mail delivery falls in the category of spam and which does not. Breaking any of the above rules, gives Hostdog the right to suspend, pause or even delete, cancel, terminate pages or files that the client has uploaded on the internet using Hostdog's servers. For the same reason Hostdog has the right (if not the obligation) to provide information about the client and his actions to Legal Authorities. In the unlikely event that a client is overusing the sources of a server, causing troubleshooting to neighboring accounts or endangering them, Hostdog retains the right to temporarily suspend the client's account. This pause will take effect after informing the client and will remain until s/he locates the problem and restores the source usage to a permissible level. From the moment a client decides to sign an agreement with Hostdog, he has to provide us with all the necessary communication's information i.e. address, phone number, fax, email. The client guarantees the validity of that information and is responsible for informing us for any subsequent change this information may have. Hostdog uses the client's information to inform him/her for any issue related to the client's account (expired account, domain name renewal, software updates and more). For this reason the client has to make sure s/he is checking the mailbox regularly. a client has the option to ask for a presentation of all the data that we keep in our database. The client to his part is obliged to use all data, information and codes that we provide to him carefully and not to reveal it to any third party. In case any actions,content or services that a client provides using Hostdog's servers cause any legal procedures, either to Hostdog company or to others, then s/he is obliged to cover and defend Hostdog and protect it from any danger, defamation, loss, damage and/or penalty. To the extent that a client's actions raise any economic costs regarding judicial expenses, compensations and attorney's fees then s/he is obliged to cover them on behalf of Hostdog. Service renewal is done automatically by Hostdog provided that the client made the payment and that s/he hasn't expressed the wish to terminate any service provision. The client has to ensure s/he is making the payment needed for the renewal of the services on time i.e. at least three days prior to the end of the current contract. Not depositing the appropriate amount for the service renewal on-time might lead to the registration of your Domain Name from another party. In this case Hostdog is not responsible for the fact that you will not be able to re-register your Domain Name. The client has to have all the necessary knowledge for developing and publishing a website and deliver it to Hostdog ready for use. The client is not entitled to any knowledge or service provision by Hostdog, in order to render his/her website usable. Hostdog is bound to provide technical and knowledge support regarding solely to the provided services and not website development or website management. In the event that a client is in need of additional support, Hostdog has the right to provided it and will likely do so. That support provision, however, depends on Hostdog's willingness and doesn't oblige it to any future provision. While Hostdog makes huge efforts so that the information sited on its website is accurate and updated, it doesn't have the possibility to check and control any date or information that is sited to other websites through its servers. Consequently, Hostdog can't guarantee for the accuracy or the quality of any information, neither for the solvency of persons or companies with which the client might sign an agreement. Hostdog is neither responsible for any damage or loss caused to the client or anybody that has dealings with him/her, and which results from information distributed through Hostdog's servers. In order to validate any orders the client has to prepay the services he wishes to order. 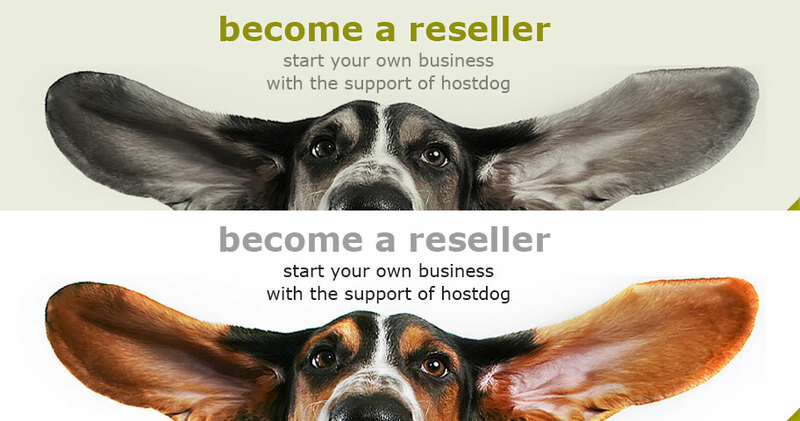 Hostdog launches the service provision as soon as it is certified that the payment is made.During its service provision Hostdog has the right to make changes to its pricing list, increasing or reducing prices. Clearly, these changes don't apply to the client who is called upon to pay the original price of the services s/he has ordered. Any new service offered by Hostdog doesn't replace similar preexisting services without the client's a request.The client is responsible for covering all the additional expenses, taxes or other charges may come off from his/her exchanges with any third parties and take place through Hostdog's servers. In case the client is not satisfied with the provided services s/he has the right to ask for the termination of the contract signed and the return of the money s/he has given to Hostdog. The client has to apply for the contract termination within the thirty days starting from the day that the contract was signed. If the client doesn't state his wish to terminate his contract with Hostdog within those thirty days, then it is assumed that he silently agrees to its continuation until its completion. Besides, an application that is made subsequent to the thirty days period is considered invalid and it is not taken into account. Since the client's application for contract termination is on-time, then Hostdog is bound to return all the client's money back. It is not bound, however to return any additional amount of money the client has paid for buying extra storage space, static IP, SSL or installation of third party software. Finally, in case the client breaks one of this contract's terms within the first thirty days period, then Hostdog has the right to deny the money back guarantee. 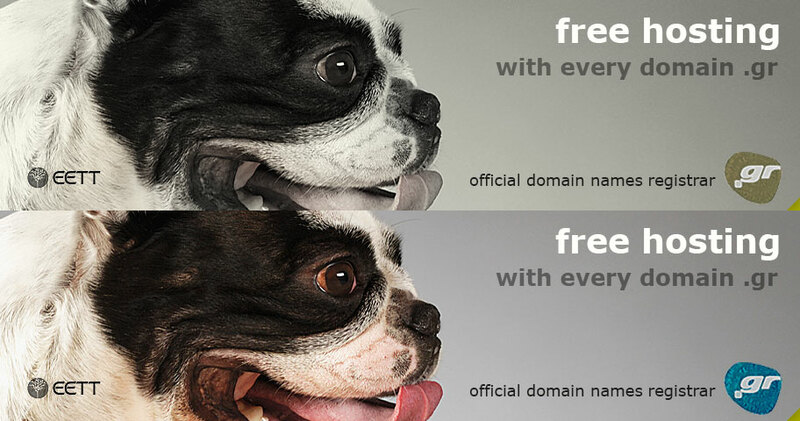 As regards the Domain Name Hostdog follows the Regulation on Management and Assignment of .gr Domain Names (Gov. Gaz. Issue 593/B/14-4-2011) stated by the Hellenic Communications and Post Commission (HTPC). It is the client's responsibility to read, understand, accept and comply with the above regulation. Not complying with the HTPC's regulation means that the client doesn't comply with the overall terms set in this contract. The client is also obliged to frequently visit HTPC's website so as to get all the updates and news about the Domain Name's Regulation. HTPC is the National Regulatory Authority for telecommunications and hence has the authority to deny an application for registering a Domain Name for reasons that are stated in their regulation's page. Clearly Hostdog can't be held responsible for HTPC's denial of a Domain Name's registration. Hostdog will proceed in applying for registration or renewal of a domain name as soon as it confirms that the client has successfully filled in Hostdog's application form and has placed the necessary deposit. Consequently, can't be held responsible if a third party registers a domain name that you are interested in or if you don't renew your domain name on-time resulting on it's registration from another party. The client retains the right to ask for the premature breaking of the contract and the resulting cancelation of the co- operation with Hostdog. However, the client is not entitled to ask a payment return. Hostdog has the right to suspend, pause or even delete, cancel, terminate any of its provided services if the client doesn't make the necessary payments or breaks one of the terms of this contract. It is not responsible, though, for any data loss or file damage that may occur as a result of the pause of service provision. The client is advised to keep backup files of his/her data in order to avoid any loss or damage. Should the client and Hostdog decide the continuation of their contract the reload of the data is not charged additionally. Hostdog doesn't necessarily keep backup files from the client's data after the completion of a contract. In case the client wishes to terminate the contract prematurely and get backup files with his data then Hostdog has the right to charge additionally for it. Reselling is permitted only to clients that own a Reseller, VPS or Dedicated package and not to those that own a shared hosting package. Hostdog does not interfere and is not responsible for the services that are provided to third parties through the reselling packages. Responsible for those services is the client that offers them. Network availability and consequently the services provided Hostdog are not incessant. Although the probability is very small, this might lead to loss of data or other information. The reason for an available network is the special nature of the Internet and its occasional overload. Hostdog does not have any responsibility for an eventual network unavailability or any malfunction that this may cause. None the less, Hostdog takes all the necessary actions to minimize the probability of this event and maintain its services to the highest level of the market. The website you are visiting right now, as well as all its content (pictures, articles, services, logos) are Hostdog's property. The content of this website has been copyrighted and it is protected by National Law, European Law and International Agreements. As a consequence, copying, broadcasting, distributing, selling of this content is strictly prohibited without the written and signed consensus from Hostdog. The appearance of this content on the internet does not in any case provide permission or right for the above actions.